Daily Illuminator: Munchkin Panic At Print! 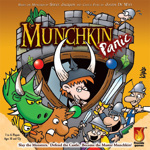 May 29, 2014: Munchkin Panic At Print! 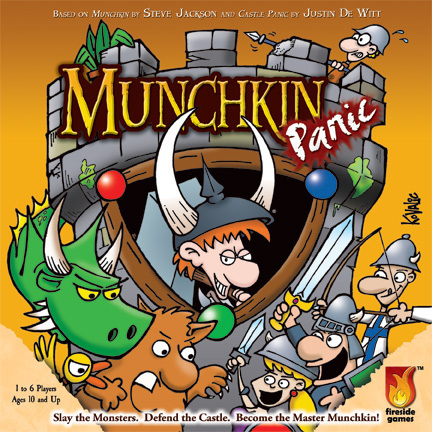 As announced back in March, our friends at Fireside Games have created Munchkin Panic, a new game that combines the Castle Panic excitement with the world of Munchkin. I've played the game a few times now and can happily report that Anne-Marie and Justin at Fireside created a wonderful blend of the two games . . . and even better is that the game is now at the printer! And since Fireside is printing Munchkin Panic with Grand Prix International -- the same rep we use to print all of our Munchkin titles -- I know the quality will be fantastic. Munchkin Panic is expected in stores this fall, so keep an eye on the Daily Illuminator for word when the game has shipped. And if you're at Gen Con in August there may be a surprise waiting for some of you . . .